Our 1/4" inch tactical #8 (1/4") Stainless Steel Chicago Screws have a Black Zinc finish for the finest tactical look available. 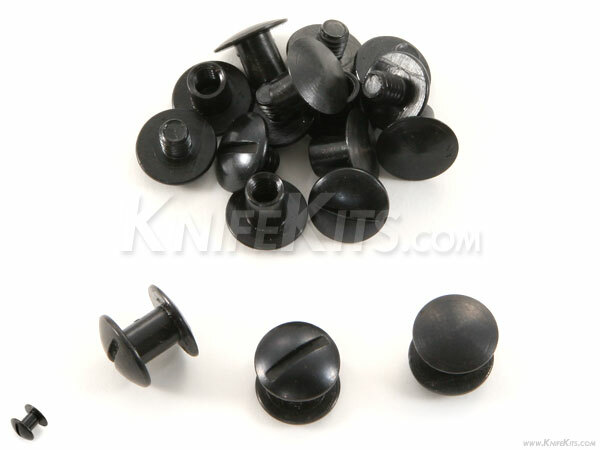 These are very popular and are used to mount belt loops, clips fasteners and sheath/holster attachments. They fit nicely through a standard #8 and #9 holster making rivet/eyelet.